I’m often asked for my favorite homeschool tip. Through the years, I’ve met with countless families looking for answers. They have questions about where their child is educationally and how to help them advance in their learning. If a family comes looking for answers, usually that means they feel stuck and something isn’t working. There are a few easy steps to help your child advance when learning seems to have stalled. 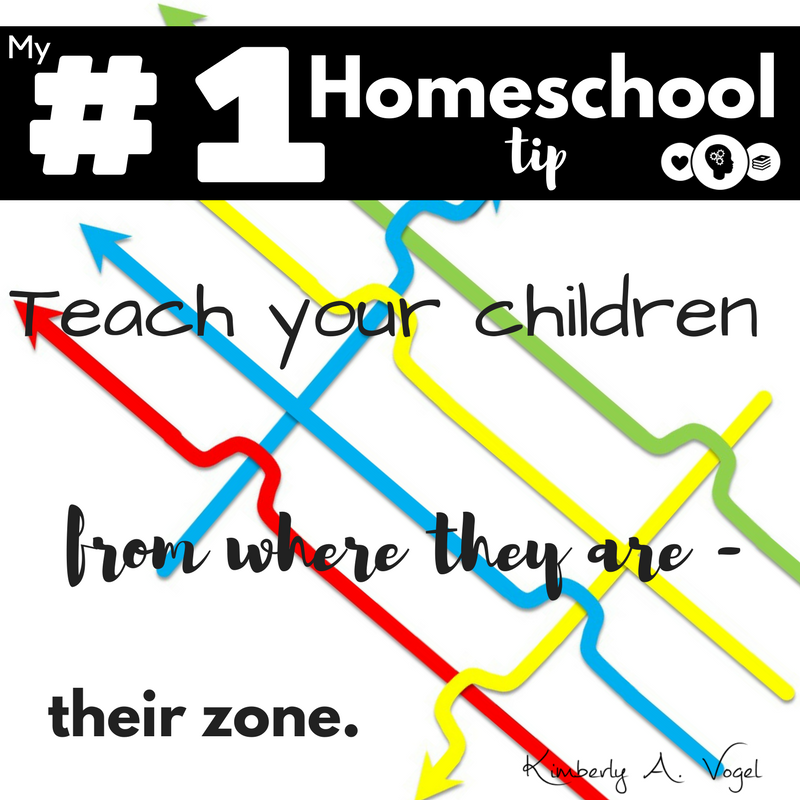 My number one homeschool tip is to teach your child from where they are. I call this the zone. We place our student in a grade level and advance from there – lesson by lesson, year by year. When a child doesn’t advance from one lesson to the next, we move on without them fully engaged. This can be a gradual movement and undetected until there is a big gap in where the student is and the point to which the lessons have progressed. Going back to the place where the student is seems backwards and many parents feel it is a measure of failure either in their teaching or in the student learning. If you keep moving forward, they only pick up bits and pieces and aren’t advancing on the same path. However, when you go back to the place where a student is, they can advance. I often think of it as the way Jesus is with me. He takes me where I am and guides me forward, as I am ready. Jesus waits patiently for me to come to Him, and doesn’t expect me to be where other people are in their journey. Vygotsky, a psychologist, developed an approach to helping our children advance. Basically, it states that a student has an area (zone) in which they move from what they can know or can do to what they don’t know or can’t do through an area of what they can know or do with help. They are guided by a teacher (or another student who has already learned the concept) who takes them from where they are to an area they don’t yet know which leads them to success in learning. From Vygotsky’s teaching a term was created – Zone of Proximal Development which is defined as “the distance between the actual developmental level as determined by independent problem solving and the level of potential development as determined through problem solving under adult guidance, or in collaboration with more capable peers.“ (Vygotsky, 1986, pg 86) When students start in the their zone, they can advance through difficult learning with a guide and find success. What does this leading look like? The beauty of this statement is the guided aspect. It doesn’t take an experienced teacher to present the material in an eloquent manner. Nor does it require a teacher to use a specific method or style to ensure success. Student success is based on having someone problem solve according to their potential with a guide. One way to problem solve is through breaking down a task. The potential of the student is based on them individually, not from a group or grade, and considering their speed. The guide can be an adult or another peer who has already gained knowledge on the subject. Some students with learning disabilities will need a special guide to help them overcome their struggle. If you think this is the case for your child, seek help now! The sooner intervention starts, the quicker they will advance! Whether you use outside help for a struggling learner or not, use problem solving and guided questions to advance learning. 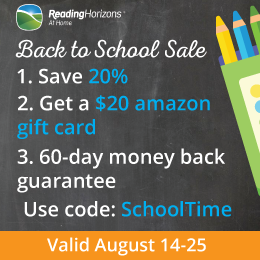 This could be a topic in itself, so I wrote more about it at SPED Homeschool. 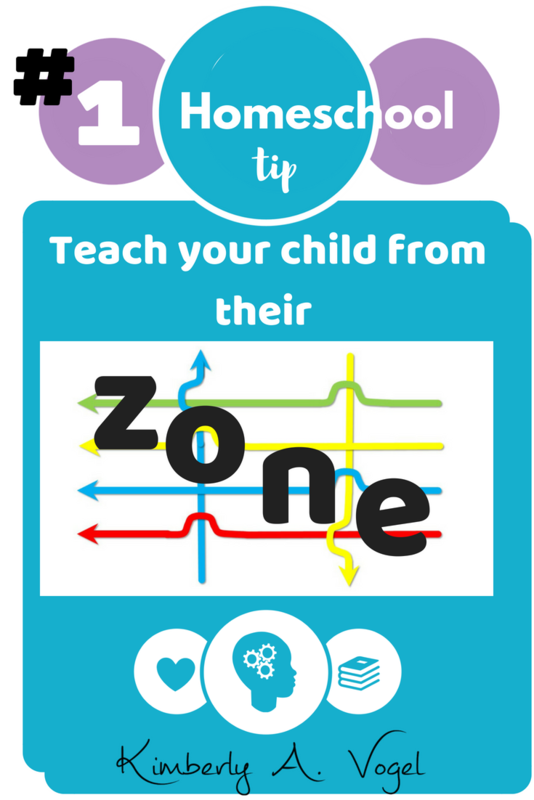 Staying in their zone and guiding them through the lesson without jumping to a new concept will help ensure success. Be careful not to look at the world or other homeschool families, just your student and their pace. (Read more about that at Schoolhouse Rocked!) It’s OK to take extra time on a concept. Success is the goal! If we take our students where they are and move at their pace with them, we are setting them up for greater success in their educational journey. 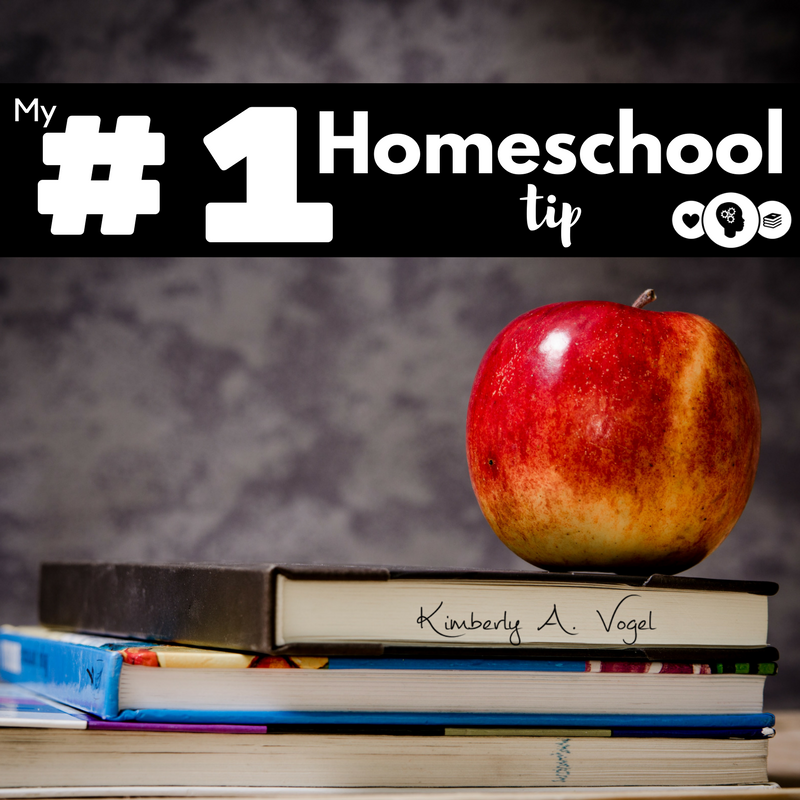 What is your top homeschool tip? In Montessori education, we call this “fillowing the child”. It is how we are able to teach a 3 year age span in one classroom. Such a great, informative post! I love, love, love the Montessori approach! I remember when I studied her in college, it made me want so much for the school system. I didn’t know it then, but that was my first thought which lead me down a homeschooling path. I almost decided to keep studying in early childhood to become certified in Montessori.